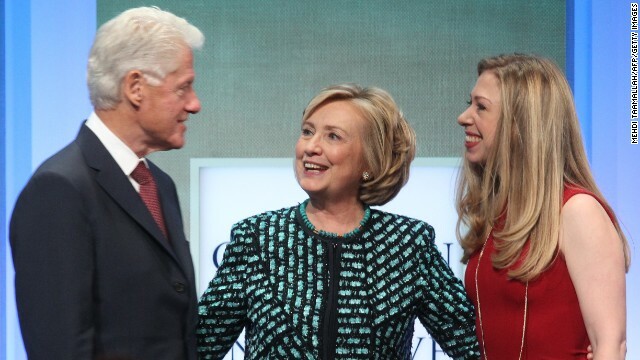 (CNN) - The Clintons and Monica Lewinsky will be sharing the stage this summer, but probably not in the way you would expect. "Clinton: The Musical" will make its U.S. debut at the New York Musical Theatre Festival in July. No two ways about it. As much as I like Bubba and Hillary, this is just bizarre. whoever thought it was a great idea needs a electro-shock therapy....maybe even just for the punishment value. The musical will be a disaster. The Clintons and Monica Lewinsky will be sharing the stage this summer, but probably not in the way you would expect. will it all occur under the desk in the white house? who will co-star as the cigar? i can hardly wait for the climax of the musical!! Too late to jump back on the Obama-boat, too many stab wounds in the back and it is already underwater. Rumor has it Bill Clinton will make his singing debut in the musical as he sings that great classic by The Police, Stand So Close to Me as well as Hard Day's Night and Don't Do Me Like That. Just can't wait to see the part where Bill tries to make a humidor out of the fat chick. Hillary will sing the Tammy Wynette song "Stand By Your Man". Is Reeses Pieces gonna threaten to boycott NY for allowing this? No, it's in the play. Hillary is seated at her desk in the State Dept. when her administrative assistant enters her office and announces there is an urgent call from Benghazi. Hillary responds "I don't know anybody named Ben Ghazi. Just hang up!". There is no way they can leave out Hillary's great Russina Reset accomplishment. Hillary and Vladimir Putin will simultaneous push the Russian Reset button and there will ba a great puff of smoke and the actor playing Putin will be replaced by an actor playing Nikita Khrushchev and then the entire ensemble will break out into a stirring rendition of Back in the USSR. Whoever thought of this musical is a genius!! They need the Mark Russell song "Slick Willie the first" in the show. Maybe they can dub it, GONE WITH THE WIND. Bill can sing BEHIND CLOSED DOORS. Or do Chelsea's teeth protrude out further then her nose?? Isn't that a remake of Charade???? There is no way they can leave out Hillary's great Russina Reset accomplishment. They can if they exclude the part about the Bush administration alienating Russia in the first place, which is what created the need for a "Russian Reset", anyhow. Don't you folks ever think, or just listen to, your arguments through, from start to finish? As Dean Wormer would say..... Oh My God. I told you all i wished Elvis would come out of hiding he was a much better actor ? Lord o mighty thank you very much . thank you . The musical needs a scene where a group of folks in tin foil hats bang on the door and demands the secret key to unlock the secret door to the secret vault in Area 51 where Obama's birth certificate is kept. Oh wait, that might be reality. Hilarious. I'd be embarrassed to know whoever thought this up but to each his own.